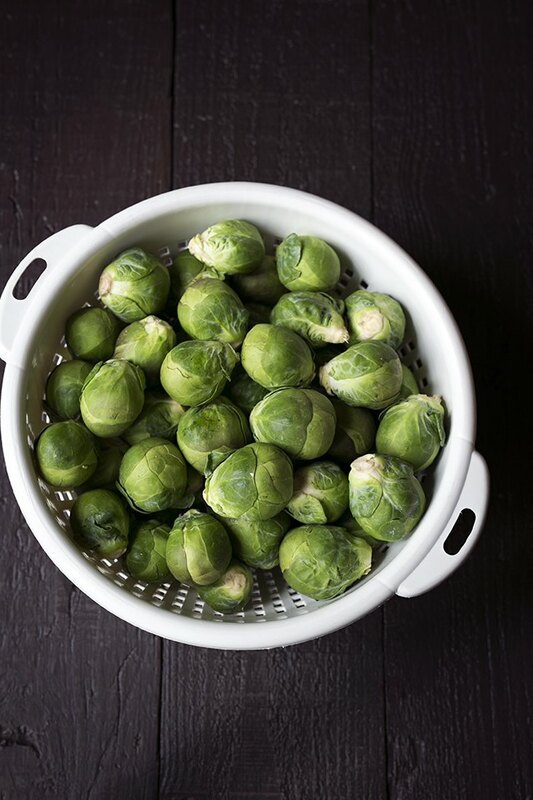 Brussels sprouts are a vegetable that people love to hate. I understand why; they can develop a strong sulfur odor and taste when overcooked. But if you've never tried roasting Brussels sprouts, you should really give them a chance. When the outer layers are caramelized and crunchy, and the inside layers are properly cooked and tender, they're an absolute treat. They're can be prepared simply with olive oil, salt and pepper, or a bit of sliced fresh garlic can be added for additional savoriness. Preheat the oven to 450 degrees F, and line a baking sheet with aluminum foil. When deciding on quantities, a good rule of thumb is to roast approximately 1 cup of Brussels sprouts per person. You only need enough olive oil to lightly coat the vegetables (though extra oil won't hurt, and will create a more decadent finished product). Seasoning is a personal preference, so I recommend starting with 1/2 teaspoon of salt per cup of Brussels sprouts and then adding more to taste. Personally, I like adding a lot of ground black pepper for a kick, at least as much as the salt. 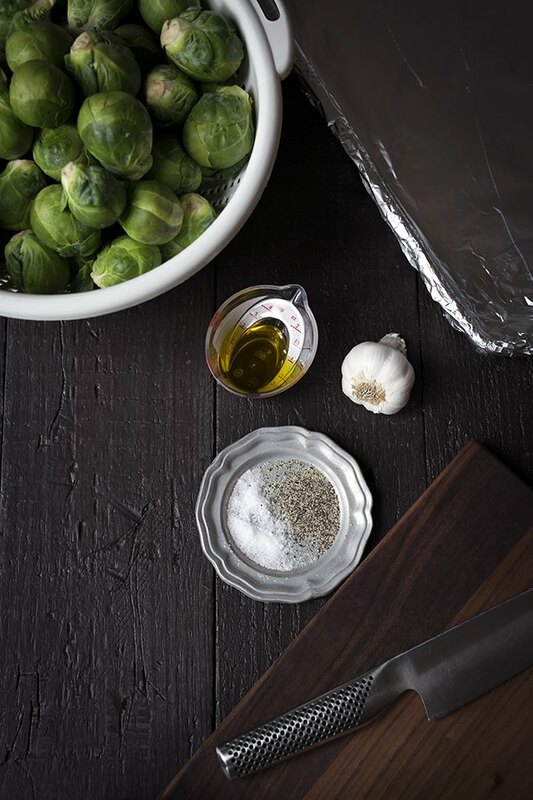 You might prefer starting with 1/4 teaspoon black pepper per 1 cup Brussels sprouts. Renowned chef Jacques Pepin once stated that he doesn’t wash a chicken before putting it in a hot oven. “The heat kills all the germs,” he said. “If bacteria could survive that oven, it deserves to kill me.” Using that logic, I often skip rinsing vegetables before roasting them at a high heat because if they're wet or damp, they will steam instead of caramelize. By all means, wash them. But make sure to dry them very thoroughly before roasting for perfect, crunchy vegetables. 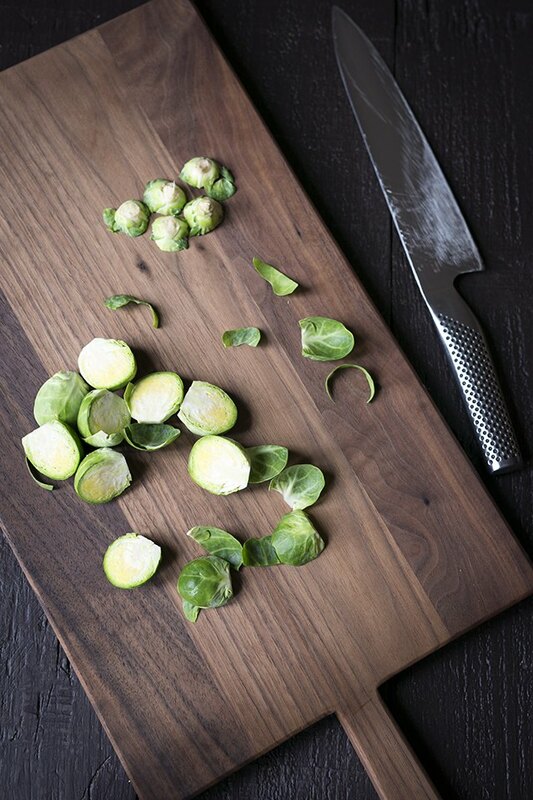 Slice off and discard the root end of each Brussels sprout, and then cut in half from root to tip. Discard any shriveled or discolored loose leaves. Keep the leaves that look fresh; those will get nice and crunchy in the oven. Place the sliced Brussels sprouts on the prepared baking sheet and drizzle with olive oil, using your (clean) hands or a spatula to toss until the vegetables are lightly coated. Sprinkle evenly with salt and pepper. If using, now is the time to toss in 1 to 2 thinly sliced garlic cloves. 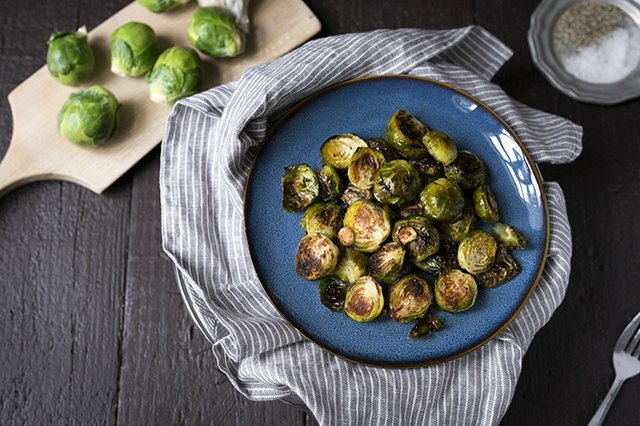 Cook the Brussels sprouts for 15 minutes at 450 degrees F. Open the oven, carefully stir the vegetables, gently flipping some or all of them over, and then reduce the heat to 400 degrees F. Cook for an additional 7 to 10 minutes, until caramelized and crunchy on the outside and soft and tender on the inside. Your Brussels sprouts are now ready to eat! For a more "set it and forget it" method, you can roast the Brussels sprouts at 425 degrees F for approximately 25 minutes, stirring once halfway through. I have found, however, that sometimes this method results in the slightest sulfur smell.